Today is the day. Starbucks is closing all its company stores this afternoon to conduct implicit bias training. Starbucks’ training is a response to an incident of racial bias that played out in a Philadelphia Starbucks. In the history of PR crises, Johnson &Johnson is a case study example of how to proactively handle a horrible situation. The Philadelphia Starbucks racial bias incident may also serve as a case study for both PR and for organizational culture change. Let’s review. May 29 closed all stores in the afternoon to conduct implicit bias training. To some in the diversity and inclusion field, the decision to close the stores seemed like a move designed to change the Starbucks image, rather than to change behavior. Luke Visconti, CEO, DiversityInc believes the move was too fast. Spectra Diversity’s diversity and inclusion assessment is one way in which Starbucks could have done a store-wide assessment of all employees to measure the employee’s belief systems and interpersonal skills related to diversity and inclusion. The assessment also measures the corporate culture, management and 3Ps (policies, practices and procedures). Without accurate measurement of the problem it is difficult to measure the improvement. Implicit Bias Removal: Is it possible? Bias in behavior and/or judgment that results from subtle cognitive processes and occurs a level below a person’s conscious awareness, without intentional or conscious control. Implicit bias is based in the subconscious and can be developed over time because of the natural accumulation of personal experiences. We all have implicit bias. It is virtually impossible to “remove” it. What one can do is identify it, acknowledge it and then modify behavior accordingly. To see where your implicit bias may reside, you can take the IAT. IAT is an acronym for “implicit association test” which, since 1998 has been a measure within social psychology designed to detect the strength of a person’s automatic association between mental representations of objects (concepts) in memory. To answer the question “is it possible to remove implicit bias” the answer is no. You can however, teach yourself to spot your bias when it rears its ugly head, and learn new ways of behaving. 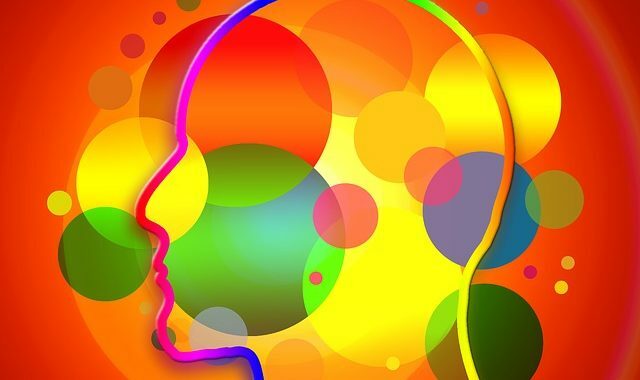 Mitigating bias is one of the hardest things in human existence,” says David Rock, director of the NeuroLeadership Institute, which he co-founded on the idea that brain science can inform leaders on how to better motivate their employees, for example, or help them learn more. Eliminating bias would require people to become completely self-aware and objective about their own thoughts, and Rock says no one’s found a way to do that. Any strategy that essentially relies on people to try not to be biased is doomed to fail; that’s the heart of the problem,” he says. But people are adept at identifying the biases of their peers. In his work as a consultant, Rock recommends workplaces develop what he calls “if/then” protocols, which involve decision-making by teams. So “if” an employee behaves in a way which observers identify as racially biased “then” the team (other employees) have permission to either deescalate the situation themselves or escalate to a higher level of management. Was there a no-bathroom usage protocol on which employees and managers were trained? 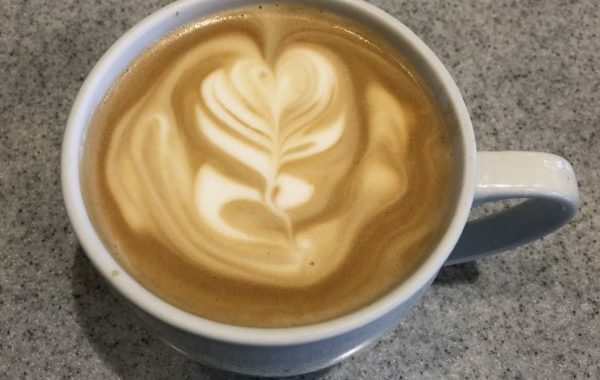 Did the baristas have any procedures in place in which they can challenge a manager? Did employees in this instance speak up – and have their voices ignored? Did managers have a policy in place regarding when to call the police? Under what circumstances is it warranted? Does customer service training exist at the store which teaches employees how to interact with those who are not like themselves (other languages, cultures, abilities, etc.)? For Starbucks, this means creating structures that don’t rely on the individual to change and changing behaviors that are identifiable and measurable. There is much work to do. 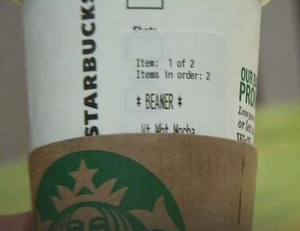 On May 18, in the midst of the media coverage of the Philadelphia incident, an Hispanic customer received his beverage with a slur written on the cup. The manager of the store apologized to the patron and offered a $50 gift certificate. The half day training at Starbucks is an important start. The seminars will involve groups of about four employees being guided by an interactive iPad workbook, featuring videos from Howard Schultz (Chairman), Kevin Johnson (CEO) and the rapper Common. Staff will also watch a documentary short by Stanley Nelson Jr., the Emmy-winning filmmaker. A series of conversation-starters are included in separate worksheets. Pause. Take three slow deep breaths – focusing on relaxing your muscles. Talk yourself through the moment: is this a threatening moment or is that just habit? Stop and take a moment to do a simple focused task (go get coffee, spell check a document). Engage your short-term memory and recall a positive situation. This will help the brain get out of the deeper “recording” causing the stress reaction and get to the “higher brain state” where you can consciously choose your response. When the stress passes, remember to intentionally reflect on where that feeling came from and how to address it more proactively in the future. This will help you re-write the internal recording and choose a new response path. To conclude, racial bias is part of the culture in the U.S., not just in the culture at Starbucks. Until baristas, police officers, cake decorators and government officials start including all and treating all our diverse people equally/equitably there is still much work to do.